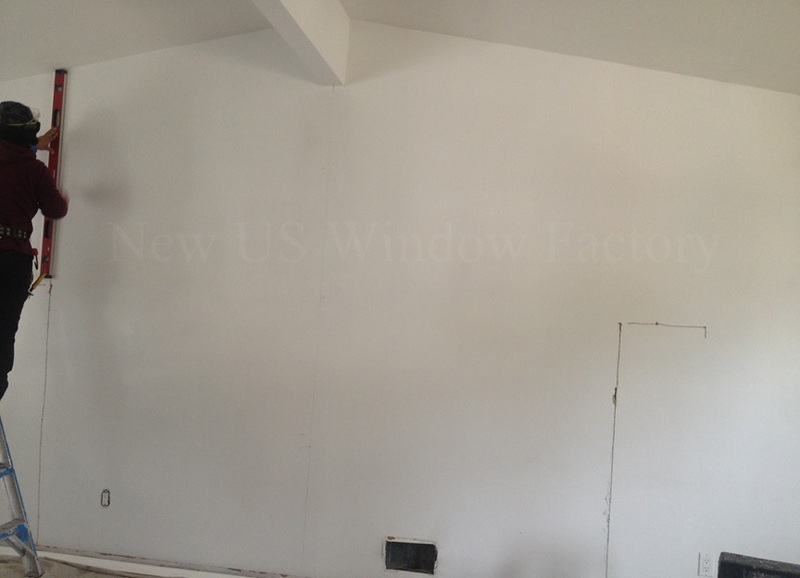 Replacement Window Project 1 | New US Window Factory, Inc. Published February 11, 2014 at 864 × 624 in Specialty Window & Door Projects. Layout & planning to prepare for cutting opening for large Bow Window.